in 1959. The family moved to Tucson in 1960. It was all of Arizona’s dramatic and beautiful scenery that awakened the artist in Susan. She took art lesson and became active with the Wilcox Art Association. Ralph Schaefer, an art teacher for Ft Grants Boy’s prison, became Susan’s mentor and critic. Ralph’s moto was to “accept constructive criticism and continue to learn or quit right now”. With his wisdom of light, shadow, values, perspective and composition so freely shared Susan’s results in her work dramatically improved. 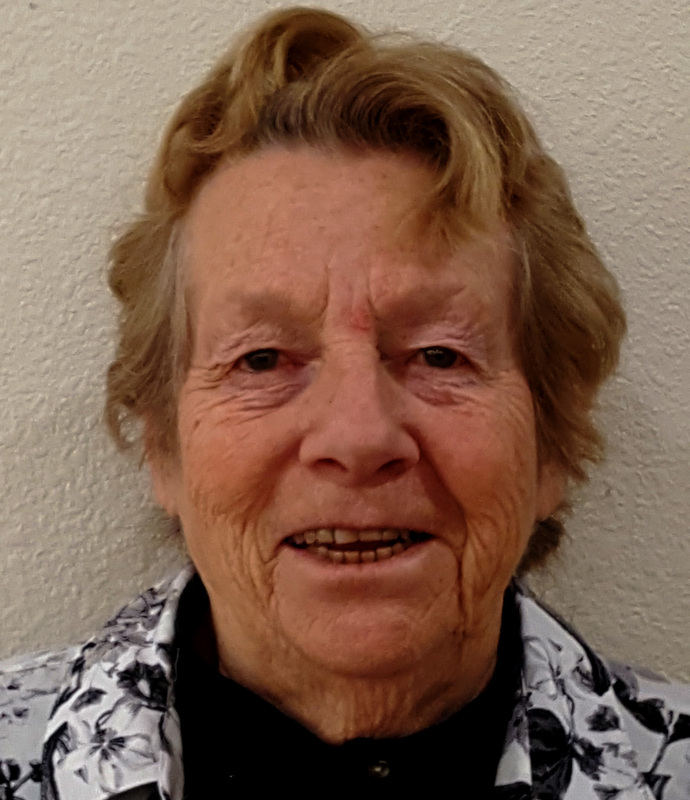 Susan has retired from the real estate business and has grandchildren in Alaska and Apache Junction, Arizona. Susan has not become idle. It is $me for her art, travel and lots of planned play. Although all of Susan’s art work is just works of art, two of her most exciting and rewarding achievements were winning first place with a full size ocean color and most recently another first with a water color of Liz’s Flower Garden and a Santa Cruz County Fair blue ribbon for “Sonoita Horse Race” an oil painting. Huachuca Art members influenced Susan’s art as well as many accomplished artists such as Eva Arenas, Carol Reilly, Raleigh Kenny and Angus Bowie Wilson. Susan is a long time member and was past president of the Huachuca Art Association.